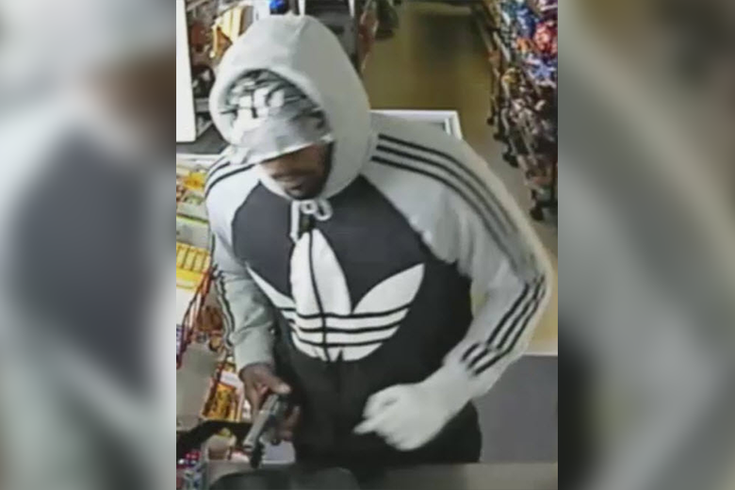 Police are asking the public for assistance Tuesday identifying a gunman who robbed a store in the Olney section of North Philadelphia. The incident, which was captured on surveillance video, occurred earlier in the day around 10:40 a.m. at a corner store and deli located at 176 West Chew Avenue. Authorities said the man approached the counter and demanded money as he pulled out a handgun. The suspect went behind the counter because the clerk was taking too long. Another employee emerged with what appears to be a large knife before fleeing the store screaming for help. After obtaining an unknown amount of cash, the suspect exited the front door and fired one shot at the store before fleeing the area. Police describe the suspect as a stocky, 25-year-old black man with a medium complexion and a full beard. Anyone with information is urged to contact the Northwest Detective Division at (215) 686-3353/3354.